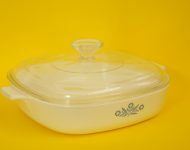 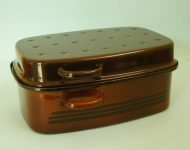 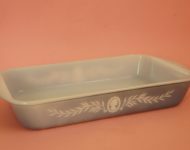 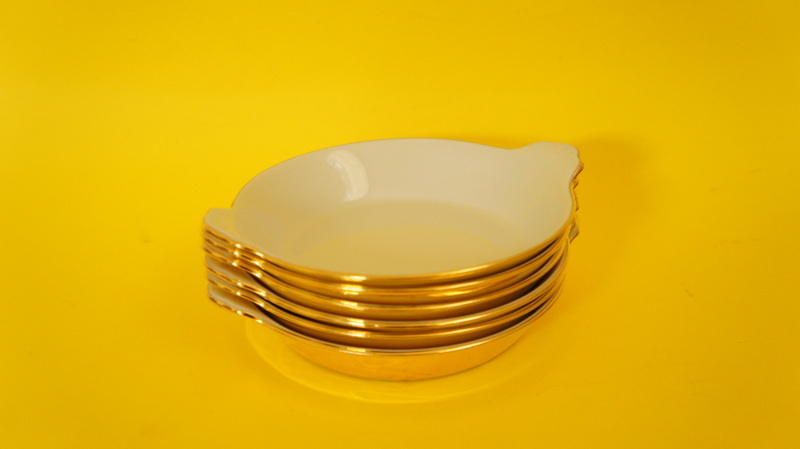 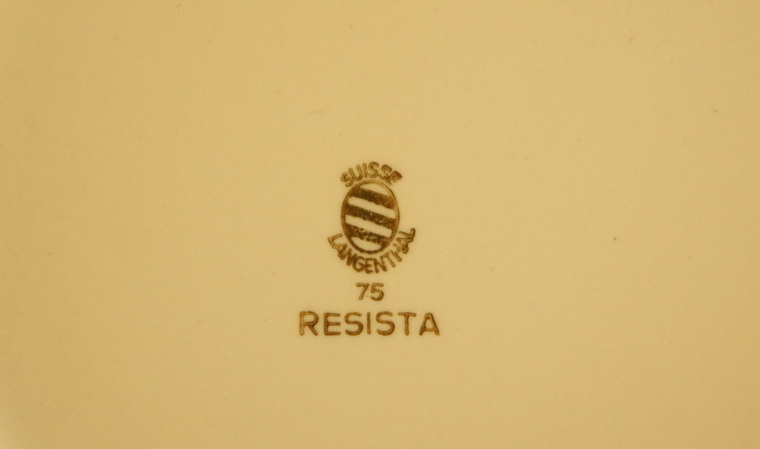 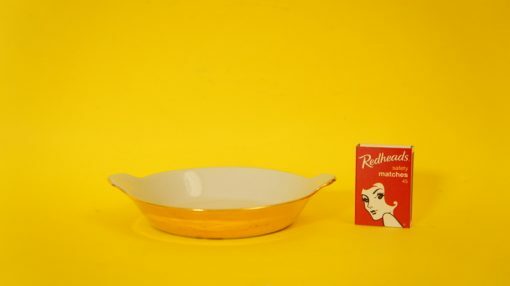 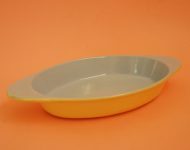 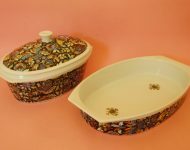 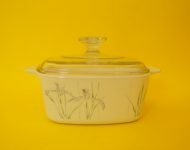 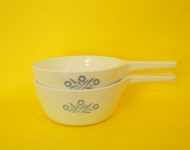 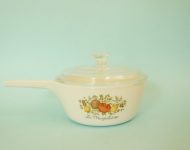 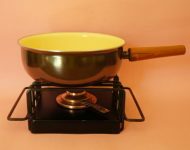 How delightful are these wee gratin dishes from Suisse Langenthal? 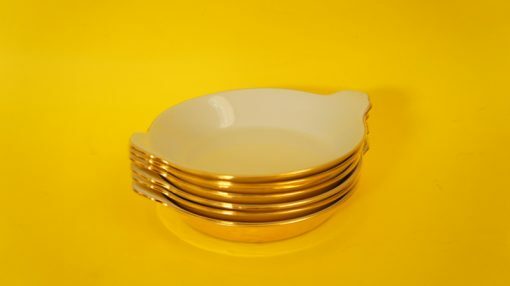 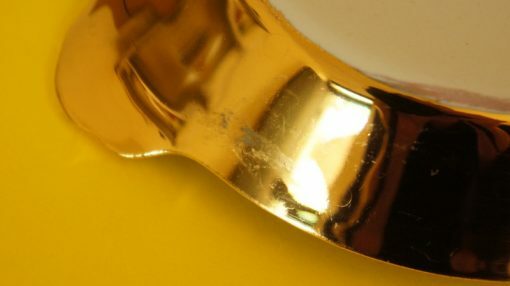 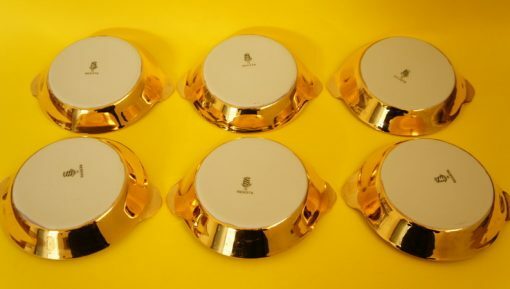 I love that seriously bling gold glaze (I used to own a fantastic ceramic Paul Smith bunny with a similar metallic glaze, which I just loved, so I have a bit of a soft spot for this finish), and of course those classic fan-shaped handles are just so pretty! 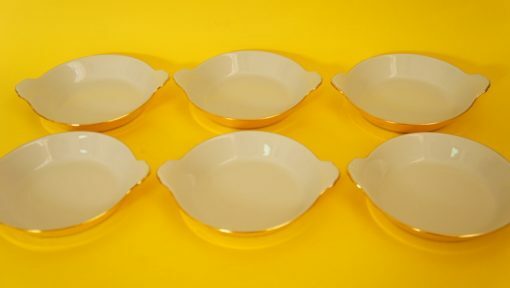 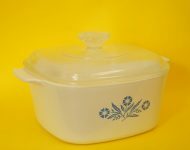 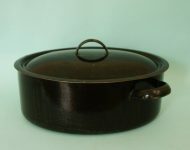 According to me they’re au gratin dishes, so presumably they should be able to go in the oven, but I can’t be 100% certain – hopefully somebody who knows a bit more about cooking (and cookware!) will be able to tell us…..
P.S. 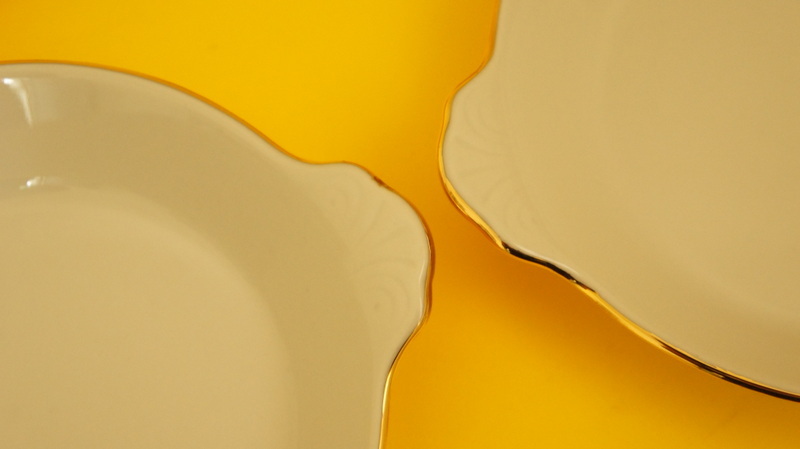 Suisse Langenthal porcelain seems to sell for pretty high prices – a set of two of these dishes in brown and (not this fabulous gold!) 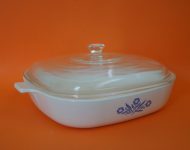 are for sale on eBay for R400!